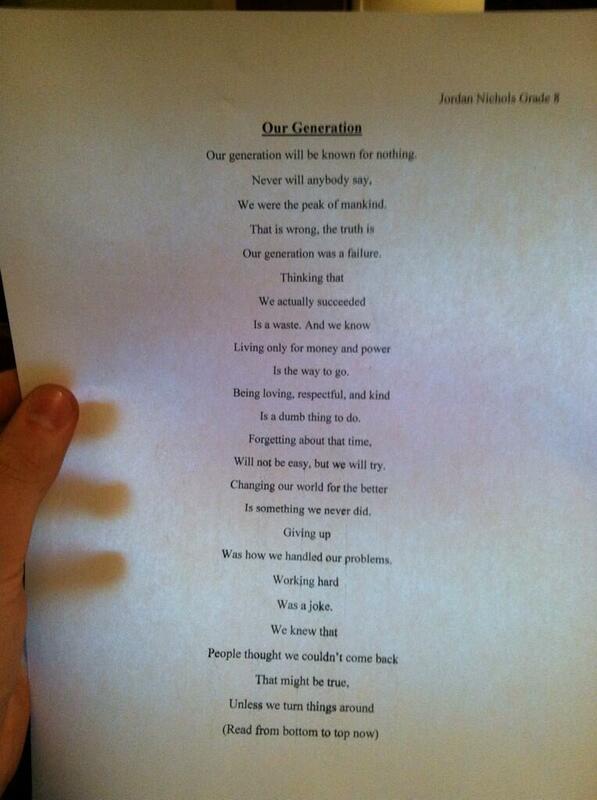 Poems like this remind us that the future of our society lies in its youth. The fact that such words can come out of a 14-year-old’s mouth demonstrates that today’s youth can be brave and ambitious with big dreams for the world. After all, only by believing you can change the world will you actually do. UPDATE: From further research, it looks like this poem was very much inspired by Jonathan Reed and the original poem, “The Lost Generation”.